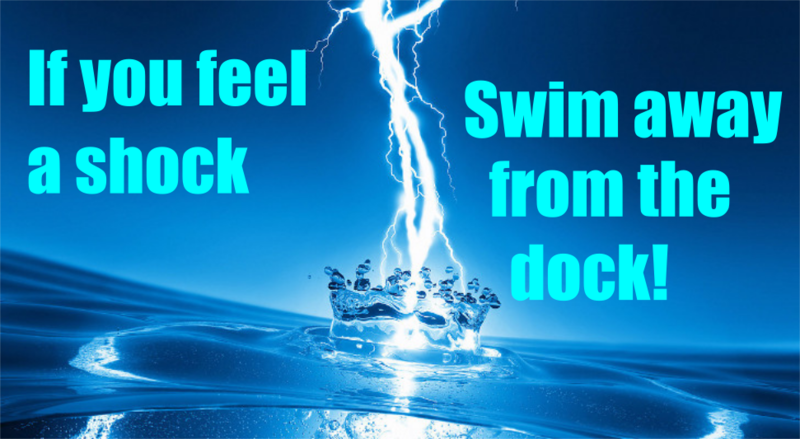 Ameren Missouri requires that all docks and dock modifications post the permit number and street address on the structure. 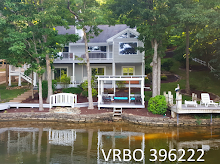 Look at around the lake and you'll see different types of signs of different sizes. In short, the sign needs to be whatever size it needs to be to accommodate your specific information using 3" letters. You don't need any official type of backboard as long as it contrasts the lettering, although you should be mindful that any material will be exposed to the elements and weathering. Most people seem to be using white plastic panels available in the signage section at the local home supply store and simple black letters. No evening lighting is required...yet. Make sure you use your established 911 address as this information is used for the response from law enforcement and emergency personnel. 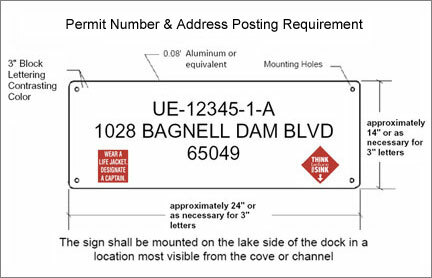 The sign is to be mounted on the lake side of the dock in a location most visible from the cove or channel.